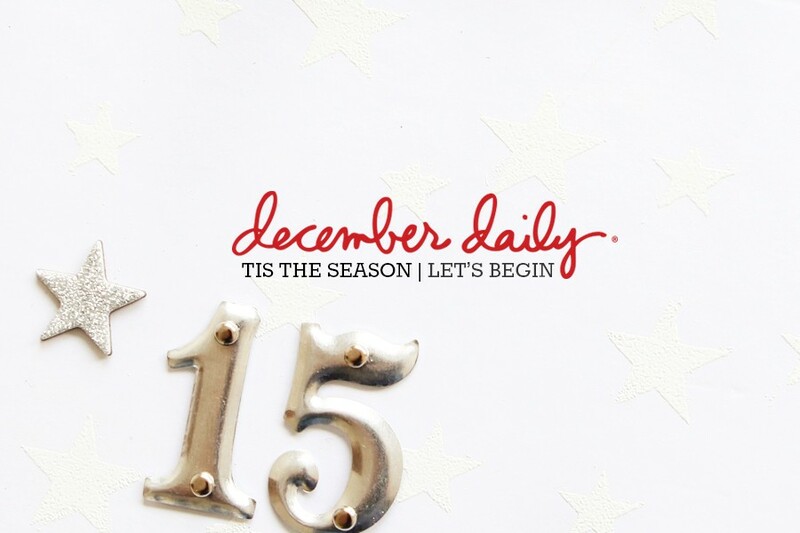 While I'm away for a couple days I wanted to share how I ended up putting together a simple little tag book that goes into the front of my December Daily® 2018 album. 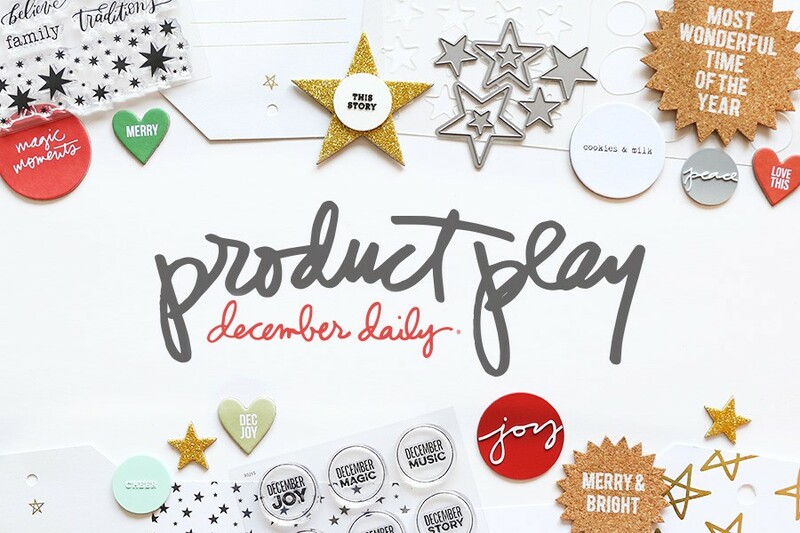 More details and the tag template download is included in the December Daily® Product Play 2 workshop or you could make your own customized to your family. As you've heard me mention already this season, I love bringing other people's voices into my projects. Handing over a tag for your kids/parents/family/friends to write down a couple things this holiday is a great way to include their voices. I invited Aaron to do it again but he's asked that I keep his private so I'm respecting his wishes. The rest of the crew was on board. I printed out the tags and then asked them all to do the writing the other day before we decorated the tree (you can read that story from Day 3 here). In addition to their words I had each one pick out their current favorite ornament while they were decorating the tree and I brought them outside and took a photo to add to the top of the tag. I cropped the photos to 4 inches x 2.5 inches. Super fun and not complicated and meaningful. Just as it should be. I always like to see the growth (height) of our children and your pictures were a fun example. It was interesting to see where each one landed in relation to the wreath. Thanks for yet another idea to tell a story in a different way. Always fun! Amazing. I am really in love with that Envelop. thank you ali for sharing. Amazing family you have now. I see your face glowing. You deserve it dear. Have fun and don't forget to celebrate also all the love coming your way from around the world. That's magical too ;) You are loved WW. So proud of you on how far you've come. I LOVE these tags! I love that Simon is thankful for RBG! (We should all be!) But wow! That's a lot of new phones! Great lists with so much gratitude for family and home. That is amazing to see! I love how their individual voices shine through in their thoughts. Simon made me giggle over being thankful for George Lucas - I think he'd be on our list too! I'm so doing this! I'm so glad that you were able to get 100% participation this year. Putting this together as a separate little tag book in the front of your album is so cute! Happy early birthday to Elliott!!! My hubby's birthday is also December 12th. I love how Simon is hoping for a girlfriend 'sooner or later'. So cute! And what a great memory! Love this idea with the pictures. Simon grateful for RBG is priceless. He is a very smart teenager! Awesome!!! Love what they are thankful for! Such a lovely idea and a great way to capture this moment in time. Thank you for always sharing so much inspiration Ali. Love this!!! The tags are so beautiful! We are going to have both sets of parents and our last remaining grandparent (my grandfather) with us on Christmas Day I think I’m going to include them in this. Love it!